On the off chance that initiatives like the Hackaday Prize didn’t make it abundantly clear, we believe strongly that open designs can change the world. Putting technology into the hands of the people is a very powerful thing, and depending on where you are or your station in life, can quite literally mean the difference between life and death. So when we saw that not only had a team of researchers developed a 3D printable stethoscope, but released everything as open source on GitHub, it’s fair to say we were pretty interested. The stethoscope has been in development for several years now, but has just recently completed a round of testing that clinically validated its performance against premium brand models. Not only does this 3D printed stethoscope work, it works well: tests showed its acoustic performance to be on par with the gold standard in medical stethoscopes, the Littmann Cardiology III. Not bad for something the researchers estimate can be manufactured for as little as $3 each. All of the 3D printed parts were designed in OpenSCAD (in addition to a Ruby framework called CrystalSCAD), which means the design can be evaluated, modified, and compiled into STLs with completely free and open source tools. A huge advantage for underfunded institutions, and in many ways the benchmark by which other open source 3D-printable projects should be measured. As for the non-printed parts, there’s a complete Bill of Materials which even includes links to where you can purchase each item. The documentation for the project is also exceptional. It not only breaks down exactly how to print and assemble the stethoscope, it even includes multi-lingual instructions which can be printed out and distributed with kits so they can be assembled in the field by those who need them most. From low-cost ultrasounds to truly personalized prosthetics, the future of open source medical devices is looking exceptionally bright. Although there are many skilled and dedicated types of health care professionals, nurses are often the main point of contact between the medical establishment and a patient. You will probably spend more time with your nurse–especially in a hospital setting–than any other health care provider. Every patient’s needs are different, so it isn’t surprising that nurses sometimes improvise unique solutions to help their patients be more comfortable or recover faster. That’s the idea guiding an innovative program called MakerNurse–an initiative backed by MIT and the Robert W. Johnson Foundation. The idea is to encourage nurses to be makers. One of the project’s cofounders, Anna Young, had found nurses in Central America making do with what they had on hand and naturally acting as makers. “We saw a nurse repair a stethoscope diaphragm with an overhead transparency,” she said. Young noted that often nurses didn’t realize the significance of their making–it was just how they got through the day. After a failed crowdfunding campaign, MobilECG has gone open source. MobilECG is a medical grade 12 lead electrocardiograph. A 12 lead system is quite a bit more complex than some of the ECG systems we have featured in the past. [Péter], the founder and designer of the device attempted to fund it through an Indiegogo campaign. While MobilECG is relatively cheap, medical certifications are not. The campaign didn’t reach its goal of $230,000 USD. [Péter] tried again with a grass-roots donation round at his website. That round also fell short of [Péter’s] goal to keep working on the project. Rather than let his hard work go to waste, [Péter] has made the decision to release his hardware and software to the community. The hardware is licensed under CERN OHL v1.2. The software is released under the humorously named WTFPL. While we’re not ECG experts, the basic hardware design appears to be sound. MobileECG is based around the Texas Instruments ADS1278 octal analog to digital converter. 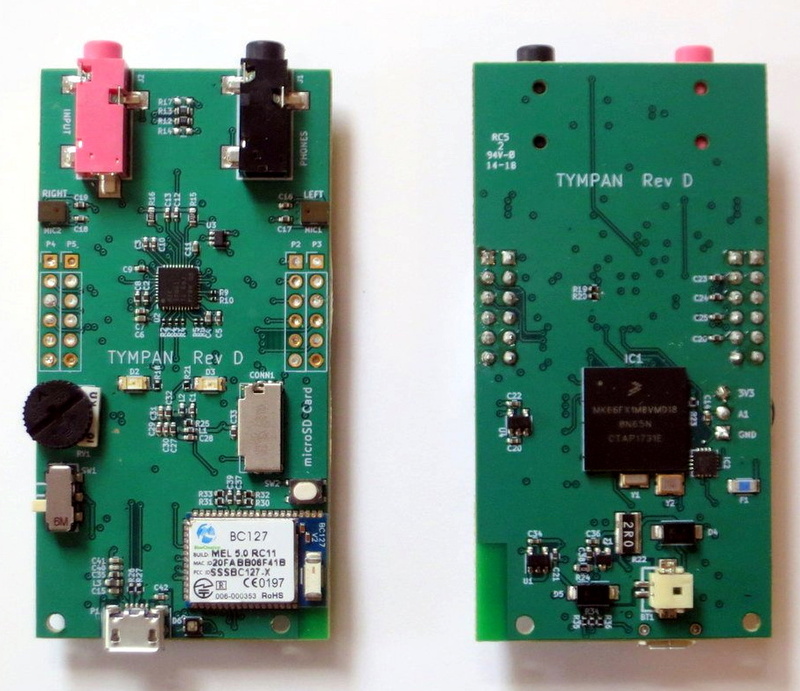 Two AVR microcontrollers are used, an ATTiny24, and an ATUC64. The analog design incorporates such niceties as lead off detection and defibrillator protection. It should be noted that there are some known bugs in the design, [Péter] mentions he can be contacted with questions. The software seems to be in an early state, and would require quite a bit of work to get it to a final design. While we do wish [Péter] had better luck with his campaign, we’re always glad to see designs released into the open source community. Vintage electronics are awesome, and old medical devices doubly so. When [Murtaugh] got his hands on an old ultrasound machine, he knew he had to tear it apart. Even if he wasn’t able to bring it back to a functional state, the components inside make for great history lesson fifty years after being manufactured. 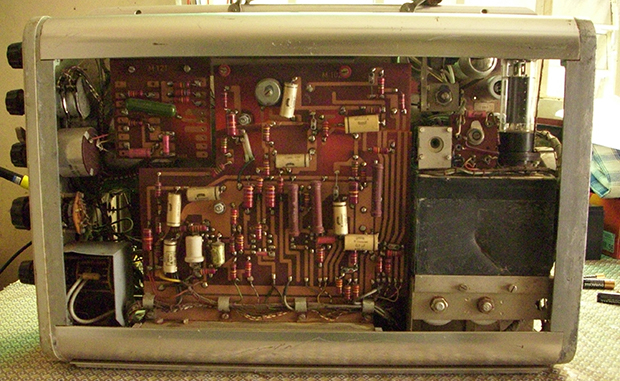 This very primitive ultrasound machine was sold by Siemens beginning in 1963 as a, “diagnostic ultrasound unit for the quick evaluation of cerebral hemorrhage after accidents.” This is barely into the era of transistors and judging from [Murtaugh]’s teardown, nearly the entire device is made of vacuum tubes, capacitors, and resistors. The only solid state component in this piece of equipment is a bridge rectifier found in the power supply. Impressive stuff, even today. In the end, [Murtaugh] decided this device wasn’t worth repairing. There were cracks all the way through a PCB, and he didn’t have any of the strange proprietary accessories anyway. Still, this junkyard score netted [Murtaugh] a bunch of old tubes and other components, as well as a nifty CRT that came with a wonderful ‘Made in West Germany’ label,.